This was such an inspiring book. Going exactly by its title, it motivates one to stay focus and determined in life. 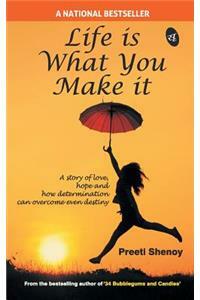 All those in their early twenties, you must read this masterpiece by Preeti Shenoy. Not noticing her silence or perhaps choosing to ignore it Not knowing its cause. this book was trending on bookswagon and i bought it ! it is worth buying ! such a great story and plot ! loved it ! will buy more soon from your best sellers !